Guangsha Lions defeated Zhejiang to advance into the quarterfinal stage. Zhejiang Guangsha Lions outrebounded Golden Bulls 54-40 including a 44-28 advantage in defensive rebounds. They looked well-organized offensively handing out 24 assists. Great defensive blocking was one of the keys in this match when Zhejiang Guangsha Lions made 9 blocks. 30 personal fouls committed by Golden Bulls helped opponents get some easy free throw opportunities. Worth to mention a quality performance of Greek center Ioannis Bourousis (214-83) who helped to win the game recording a double-double by scoring 21 points, 17 rebounds and 5 assists. 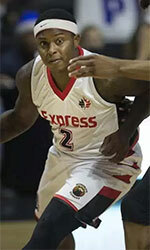 American point guard Courtney Fortson (180-88, college: Arkansas) helped adding 22 points, 8 rebounds and 12 assists. The best for the losing side was American guard Brandon Paul (193-91, college: Illinois, agency: Pensack Sports) with 24 points and 8 rebounds and international guard Qian Wu (190-94) scored 22 points and 4 assists. 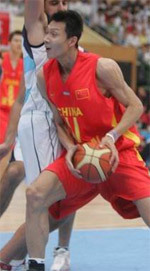 Five Zhejiang Guangsha Lions and four Golden Bulls players scored in double figures. Both coaches used bench players which allowed the starters a little rest for the next games.